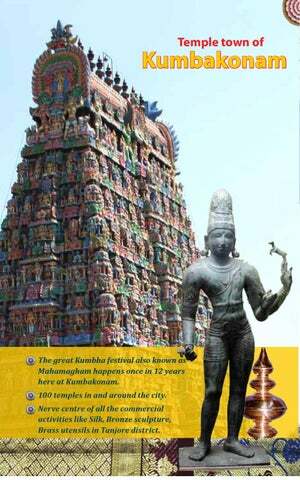 The great Kumbha festival also known as Mahamagham happens once in 12 years here at Kumbakonam. 100 temples in and around the city. Nerve centre of all the commercial activities like Silk, Bronze sculpture, Brass utensils in Tanjore district.